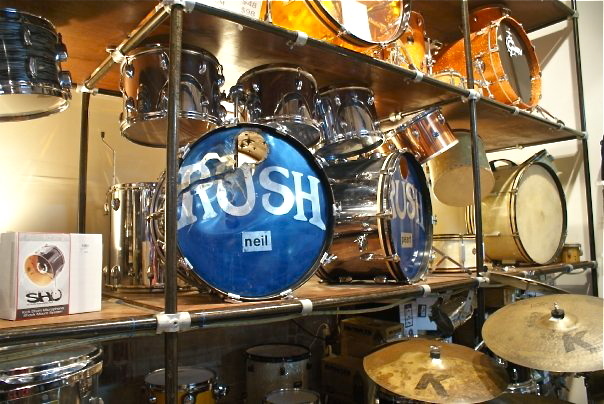 It was also used used for tours supporting all the aforementioned albums, as well as Rush. The kit has had quite a journey. 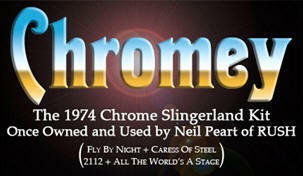 For the latest information about Chromey, including appearances, see the official Chromey Facebook page. 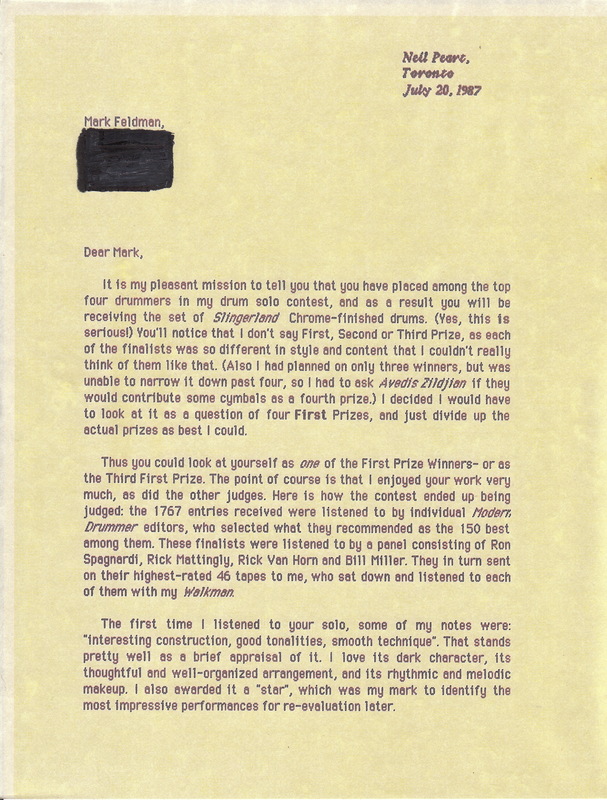 Neil gave away the kit as part of a Modern Drummer contest to Mark Feldman on July 20, 1987. 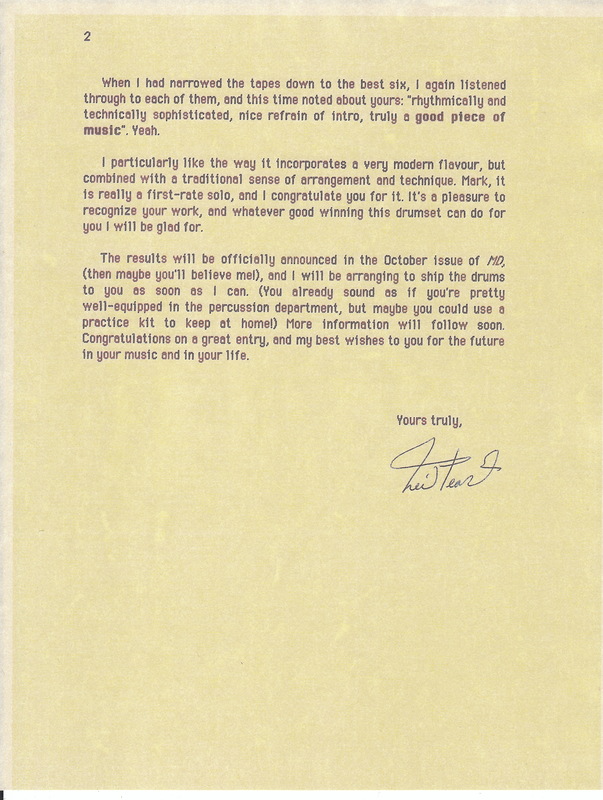 Click the thumbnails below for a larger view of Neil's letter to Mark. 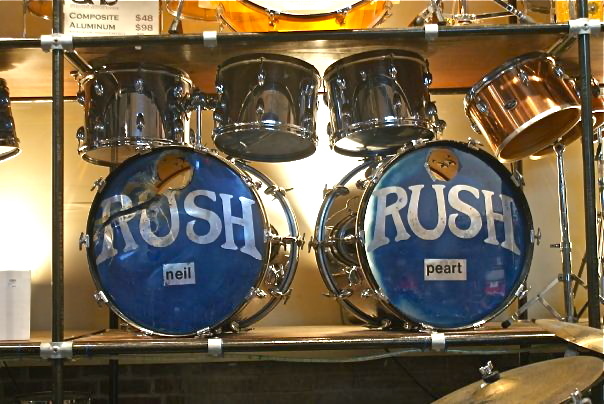 The new owner, Dean Bobisud, a Chicago-area Rush fan and collector, wanted to share the kit with Rush fans and the drumming community. To prepare for exhibiting the kit in public, Dean began a painstaking restoration with the help of restoration consultant Michael D.F. Lowe, technical advisor Paul Wells, and many others. 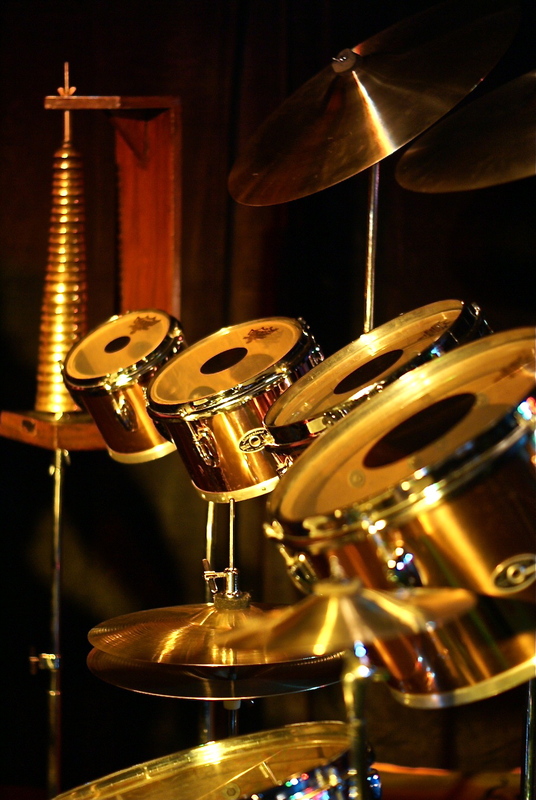 Actual vintage replacement equipment was used to restore the kit back to its original playing condition as last used by Neil Peart. Specifications provided by Michael D.F. Lowe of NeilPearDrumsticks.com, restoration consultant. * - Serial number only provided to show era of drum. 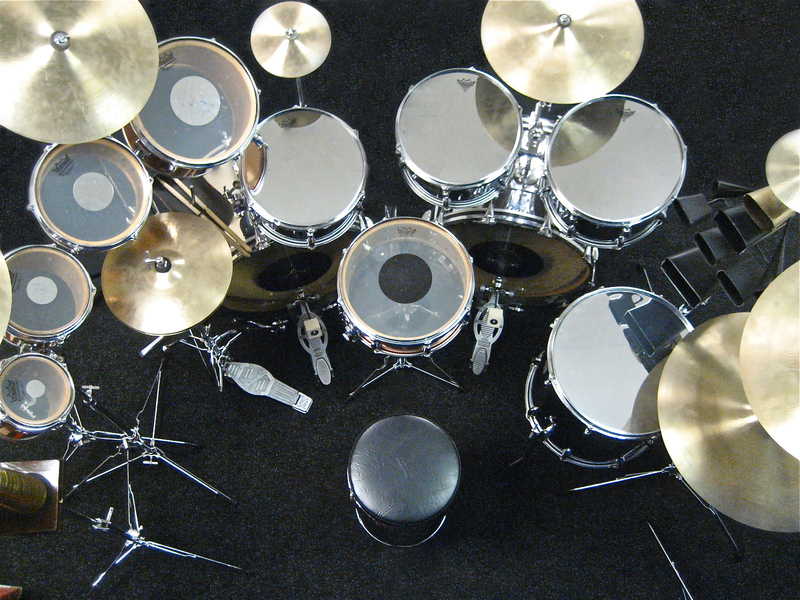 ** - Original parts once owned by Mr. Neil Peart. 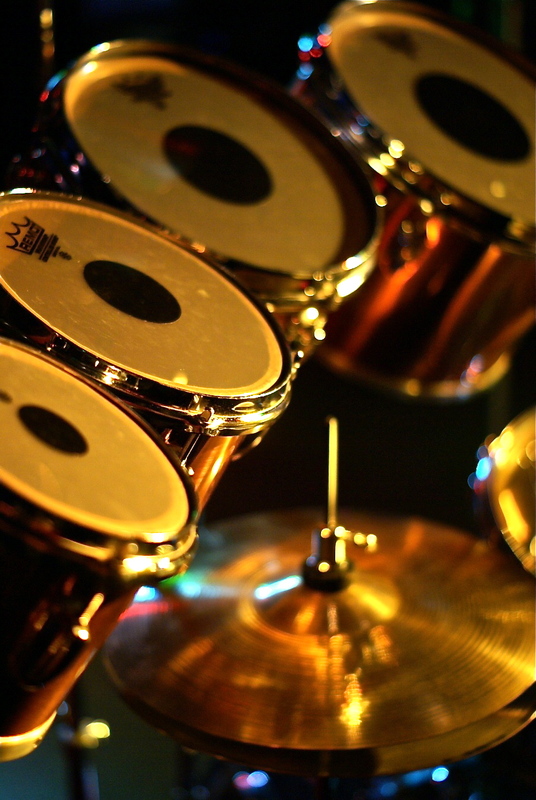 Over a period of time the original drum kit consisted of these parts below. (2) Pearl Single Braced Heavy Duty Cymbal Stand - for 18" Pang cymbal and Bell Tree. 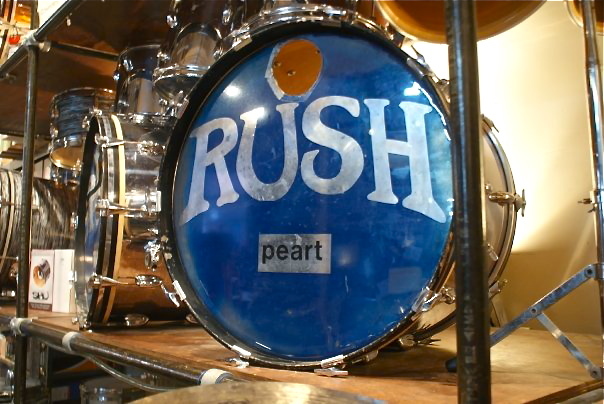 Remo Ambassador Snare-side Head - 14"
Ludwig Weathermaster CH-Batter Silver Dot Heads - 6", 8", 10", 12"
The artwork on the bass heads from Fall 1974 to Fall 1975 was on 22" Evans Rock Chrome heads with the first album RUSH logo in black. 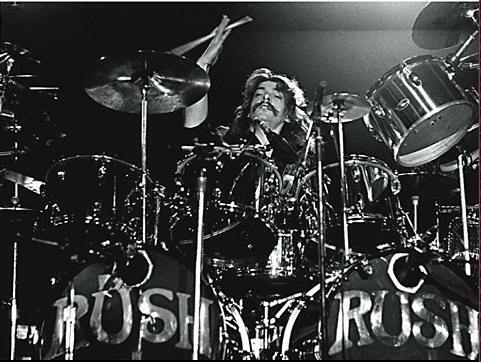 In Fall 1975, with the start of the Caress Of Steel Tour, the kit can be seen with clear 22" Evans Rock Blue resonant heads with the Caress Of Steel RUSH logo lettered in chrome mylar along with black lettered names on chrome rectangles, "neil" on the stage right bass and "peart" on the stage left bass. In June 1976 during the 2112 Tour, the bass heads were removed for recording a series of live shows at Massey Hall in Toronto, Canada. These recordings were later released on the album, All The World's A Stage. Before the heads were reinstalled, the interior of each head was spray painted blue, as seen here today. 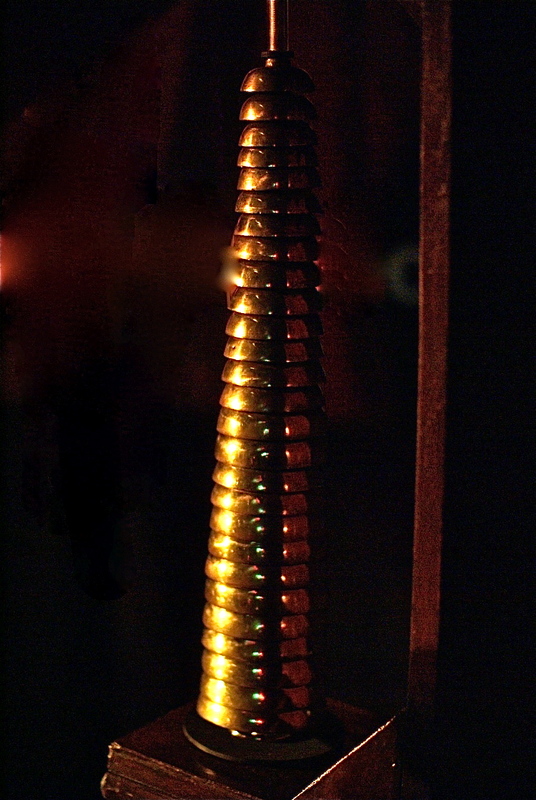 You may have also seen recent photos, or the wall display, of the stage right bass head and its tragic demise. This was caused by a small nick of the razor when cutting microphone holes in the heads. It was reinforced with duct tape in an effort to prevent its spread across the surface. As you can see it didn't last long but did manage to hold up for about 9-10 months until February - March 1977 as witnessed in dated photos where further duct taping has been applied to the tear. We removed the heads to preserve them from any further damage.